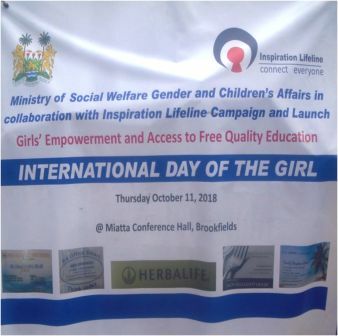 As the world marks the Day of the Girl Child under the theme “The Power of the Adolescent Girl: Vision for 2030”, UNICEF are drawing attention to the impact of the Ebola crisis on adolescent girls, particularly during the 8-month closure of schools. 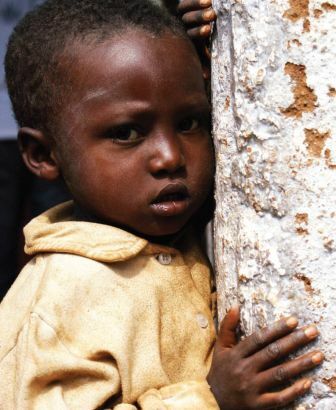 A ‘Children’s Ebola Recovery Assessment in Sierra Leone’ by Save the Children, World Vision International, Plan International and UNICEF found reports of increased child labour, exploitation, violence and exposure to teenage pregnancy during the course of the outbreak. To reduce the long-term impact of the crisis through school drop-outs, the Ministry of Education, Science and Technology (MEST) and partners are working to support the return to school through eliminating school fees, providing school learning kits, social mobilisation, and house-to-house visits for children who are not back in school. For adolescent girls who got pregnant during the emergency, there is a high risk that many may not return to school. That’s why UNICEF and the MEST are launching a new initiative to support learning for more than 3,000 pregnant and recently pregnant teenage girls. They will be supported in schools and Community Learning Centres, and through school radio programmes while at home. The children of more educated mothers are more likely to receive vaccines, see a doctor if they are sick, receive rehydration if they have diarrhoea, sleep under insecticide-treated nets, and benefit from other health-related practices. Around 65 million adolescents are out of school globally – just over half of them are girls. Research shows that half the reduction in under 5 mortality can be traced to increases in schooling for young women. UNICEF has been working with UNFPA, DFID, Irish Aid, and other institutions and programmes to help address this issue. Work is also being done to provide psychosocial support, health information and access to maternal and neonatal health services.